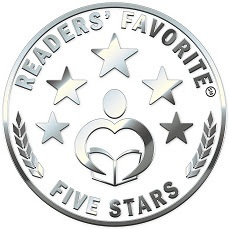 Raven's Passion earned a 5 star review at Reader's Choice. Here is the review as well as the prolog of Raven's Passion. 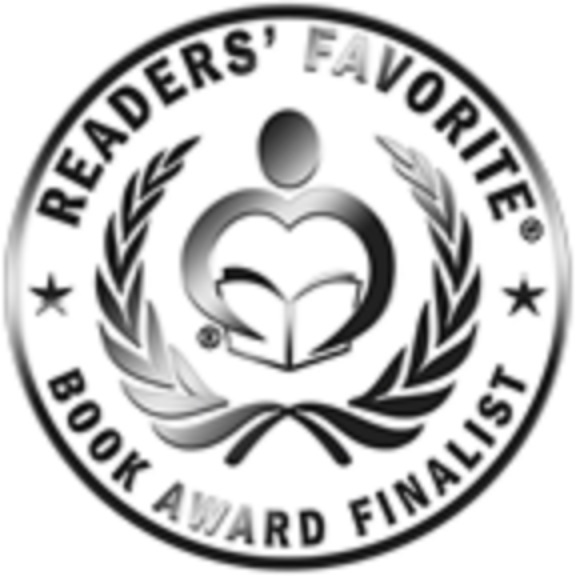 Raven’s Passion is a wonderful young adult book written by Mary Adair. Raven is raised by his adoptive parents. He is a confused, temperamental young man who does not know who his white biological father is, and feels like a misfit with the Cherokees. He does his best to adjust, but the taunts of some Indians always remind him that he is a half breed. Raven’s adoptive father, Red Panther, is a good role model, but Raven yearns to know his father. When Indians are abducted by ruthless men, Raven and a war party search for them, encountering challenges along the way. Raven faces these battles with courage while fighting his own personal battle. Although Raven’s Passion has a setting in the untamed western frontier, the story is one that many young adults will find interesting. It deals with issues that today’s younger generation often faces. One of these is the burning desire to know the biological parent who has been absent from their lives from birth. 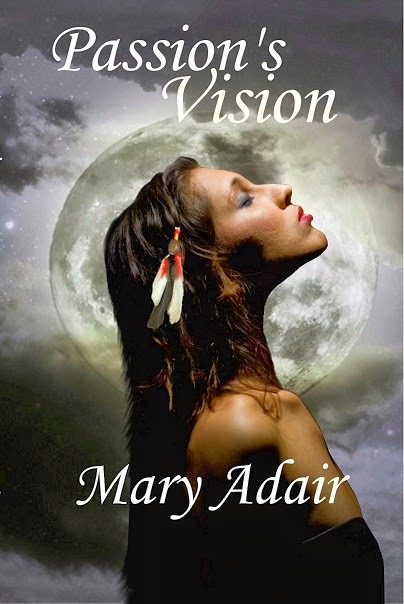 I thought author Mary Adair did well, creating characters who were so realistic with their problems. She skillfully displayed how people lived in the past, while making the different personalities and feelings of the characters connect with the reader. I am impressed with the quality writing I have seen, as well her expertise on Indian history. This is the first book I have read from Mary Adair, but do intend to read more from this author. Raven Who Flies To Meet The Clouds ran toward a pair of older opponents, one with the ball set in his stick while the other worked to block and whip the young warriors on the opposing team. Raven moved deftly, continuing a long sprint that led him arcing behind the duo. Hair as black as his namesake streamed behind him, tribute to his speed. His friend, Farthest Running Antelope, sticks held to his side with arms tense and jaw tight, moved in from the other side. The Cherokee around the field whooped as they saw the action unfolding, calls echoing back and forth to bet on who would hit the others first. Antelope honored his totem, making a mad leap as he closed the distance to tackle the one with the ball. Raven spun with sticks outstretched, sweeping his adversary's feet out from under him just as he turned to see Antelope's attack. The rushed duo rolled to a stop in the dirt. Raven and Antelope turned and took off down the field with the ball in their control. A cluster of teammates from both sides rushed after the new targets while the watching crowd exchanged grains, knives, and other goods to settle their bets. Those items would surely swap hands a dozen times more before the game of stickball finally ended. Observers came and went as the game raced throughout the day, though some stood by with rapt attention to bet and cheer on friends. No official decision rested on this one's outcome, and mostly warriors and young men of Chota Town played. However, this was the first full-scale game for many of the younger warriors. What's more, several experienced players were involved. Those that played now did so to prove themselves, earning respect and beginning to build their own stories of prowess and skill. New Moon leaned back against Panther’s chest. “Now you are just teasing me,” he complained as he gently pushed her from him. She still marveled that her honored brave had once been a Colonel working for England. He had left it all behind once he found her, and now many would hardly give him a second glance if not for his clay-colored hair. Dawn put on her serious face and gave her parents a mock-frown at their teasing, “Ma 'n Da playin' daft, surely ya' ken I'll be a face basher too one day!” Her sweet, ringing voice made the brogue all the odder amidst calls and shouts in Cherokee. The child switched back into the beloved tongue of her mother's people without pause, “Perhaps if I see well enough, I will learn from Raven's skill!” Her shining eyes betrayed her love for the young warrior. “Don’t sass your mother, Dawn.” Panther scolded with what he intended to be an end of conversation tone. On the field, the violence of clashing warriors continued. A half-dozen young braves slammed together with the sound of flesh smacking and tumbling in a tangled mess. The ball skittered somewhere beneath the group as they sprawled through an impromptu wrestling match with sticks slapping at those unwary enough to let down their guard. Shouts from across the field asked for bets on how many would be carried away by the women attending the match. Raven ran up to the fighters on the ground and leaped out over several of them, spotting the ball as it slipped through someone's grasp. He tucked into a roll, crashing into one of the other warriors before nabbing the ball and clawing his way toward the edge of the wrestlers. Red Panther grimaced a little, detaching the child from her perch as the grip became more painful, “I'll not need you to pull any hair out today, thank you child.” Setting her down, they moved closer to the field's edge for a better view. As Raven cleared from those still fighting on the ground, a member of the opposing team came at him sprinting madly. At the last moment, movement caught his eye and Raven ducked to avoid the swing of his opponent's stick. It missed, but then the other young warrior sprang with a tackle that drove them both to the ground. Raven's head snapped back and thudded against the ground as he lost control of the ball. “Golden Dawn!” Moon screamed as she dashed out on the field. Panther’s heart skipped a beat as he swore beneath his breath and darted after his wife and child. that anything abnormal was going on. Suddenly, a young warrior near to Golden Dawn slung the ball quickly to pass it down the field. His stick swung wide after the toss, slapping the young girl across the back of her head and sending her plunging to the ground. Panther and New Moon arrived too late to stop their near-son's actions of anger. Around the field, bets exchanged hands as their focus shifted from the stickball game to the sudden fight. Some placed wagers on how many punches Raven would get in before Panther intervened. The brave on the field spun on his heel; he had not noticed that his stick struck the small one. He only saw one of the other players coming to attack him, and intended to play the game. His stance lowered and he swung a fist at his attacker. Raven no longer thought of himself as playing a game. Instead, he had let his anger overcome his judgment. Ducking under the punch, he kicked at the other and then jumped forward to tackle him to the ground. His knee slammed into the brave's chest, pinning him and knocking his knuckles into the young man's face. He was rearing back for another attack when strong hands grabbed him under his arms and dragged him away. Red Panther fought with his own emotion. The two persons that meant more than life to him had just run blindly into a game of Little War. He did not know if he were angrier with Dawn for putting herself, her mother, and her unborn brother in danger or Raven for his loss of control. He took a deep breath. He could not let Raven or the others see just how close he was to losing control himself. Forcing himself to maintain outward calm, he yanked Raven to the side of the field. In a state of shock, Raven fumed at being moved so quickly from the fight to the side of the field. He barely registered it was Panther who had done it, “That careless fool meant to do that. He is one who has ridiculed her for the color of her hair. He obviously looks for a chance to strike at those he finds different.” With some difficulty, he tried to get back to his feet. New Moon was holding Golden Dawn's hand as she walked toward Panther and Raven. Raven felt the tension in Panther’s grip on his shoulder relax. He knew Panther was relieved to see they were both sound and felt his own rage cool slightly. It was easy to see his near-father’s pride in Golden Dawn. This little girl that was small for her age was proving to be as tough as any boy her own age and twice her size. She appeared only to be concerned over the drama that erupted after her own injury. Panther smiled at his daughter’s next words. “I am too old to cry. But my head hurts really bad.” She stepped forward and placed a hand on Raven’s cheek. Raven smiled and winked at his Little Funny Face. He did not want her to know how ashamed he was by his rash actions. He watched as New Moon pulled Dawn toward their lodge then let his gaze slowly rise to meet Panther’s. Others began to gather around them now. From the whispered talk and a hushed exchanged of bets, it was obvious that most were shocked by Raven's outburst. There was noted approval for Panther's stern response, as well as the speech used toward the young half-breed to admonish such childish actions. The game still sped forward to the side of them. Raven Who Flies To Meet The Clouds had effectively been carried from the field. He ran his fingers through his hair. He had not made it to the end of the game. Because of his rash actions, he’d lost face and knew that cost him in his standing with the other braves. He watched as Panther crouched down beside him, a pained expression on his face. Panther would have to fix this problem somehow. It was not the first time Raven came into trouble because of his inability to control emotions. The inhabitants of Chota Town knew this as well, and he understood they would look to Red Panther to handle this problem. Raven had trouble matching that fierce gaze. He realized how stupid his actions had been, and how it must look to the villagers. His performance would reflect poorly on Panther, who still took responsibility for his development. Though he often tried to keep the white man's custom of looking Panther in the eye as a sign of respect, this time he could hardly manage looking over the older man's shoulder as Cherokee custom dictated. As it had been for his entire life, he felt caught somewhere between the two ideals. It was James Fitzgerald that spoke now. Raven knew Panther hardly thought of himself in that role anymore, and truly felt that Red Panther was his “true” name. James was his alter ego, the other version of himself. For the first time Raven considered Panther should have at least a small understanding of his own feeling of battling dualities. Raven started to respond, but James did not let him interrupt. “I am going to send you to a school of reading and writing, tactics and strategy. It will be in England. You can come back once you graduate from their course for young men. Hopefully, there you will learn to control yourself better. Perhaps you will find yourself along the way. Raven only nodded, actually feeling somewhat relieved. Panther had taken him to England several times before, fully taking on the role of James Fitzgerald and dressing the other up as Raven Cloud for lessons and business meetings. In some ways, he looked forward to the trip and spending time with the grandmothers, as he always called them. He enjoyed spending time with William as well. They were very near the same age and as different as night and day, but they shared similar losses. Will’s mother, Lady Gaylord’s daughter, died in childbirth and Will’s father, Lady Montgomery’s son, was killed in an accident around the same time Raven lost his mother. Panther had taken Raven to England at that time, not wanting to leave him behind so soon after his mother’s death. On this visit, he and William had shared memories, he of his mother and William of his father. Through their time of mourning, they had developed a strong friendship. He actually looked forward to this trip. Perhaps he would be gone long enough for the others to forget his foolishness, remembering only his strength and ability. His face twisted with a faint scowl as his thoughts took a turn, “Red Panther wishes to be rid of me. I am an embarrassment to him!” The anger from before flared up, and he hung his head to hide his face. Panther stood, speaking in Cherokee again to announce his decision to the group. The village would all know now, and would see this for what it was. A punishment seen as a temporary banishment. The nods of others showed their acceptance of the idea, and many spoke of Red Panther's continued wisdom. Raven glanced toward the lodge and saw Golden Dawn gripping her mother's waist, and holding back tears he knew she so dearly wanted to set free. He could almost hear her thoughts; her most beloved companion was leaving her. His own eyes threatened to shame him further.